Forty-six year old Sue felt bad during the last week in October, 2003. She thought she was getting a bad cold or bronchitis. Towards the end of the week, on Friday, Sue decided to see her doctor. He prescribed some antibiotics and inhalers and said that she had bronchitis. He advised her that if she did not improve by Monday, she should come back to see him. Sue does not recall the next day very well. She recalls working at a charity event her brother hosted for soldiers. Sunday morning, when she tried to get out of bed, she felt she was falling and floating at the same time. Sue thought maybe she was having a reaction to the medications that her doctor prescribed and told her husband on Sunday that she needed to go to the emergency room–something was wrong. Sue recalls the doctor asking her strange questions… ‘had she been out of the country’ or ‘around tropical birds?’ But the only thing Sue remembers after that was the doctor telling her that her lungs were ‘coated with pneumonia.’ Sue was admitted into the ICU. Though she does not remember what happened during that month, she was told that her body swelled three to four times larger, and that everybody thought she would die. Sue was removed from the vent on the Sunday before Thanksgiving and the following day, she went home.Though she was supposed to go to rehabilitation and follow-up exams, her insurance failed to pay enough. She went home and recovered with the help of Steve. Post ARDS, Sue returned to the hospital outpatient due to scar tissue in her throat. The after effects of ARDS for Sue are exhaustion, short attention span, weight gain, dental problems, vision decline, and difficulty with spelling and math. Sue thought that she had just become lazy but then found that many in the ARDS Community are dealing with similar post ARDS issues. 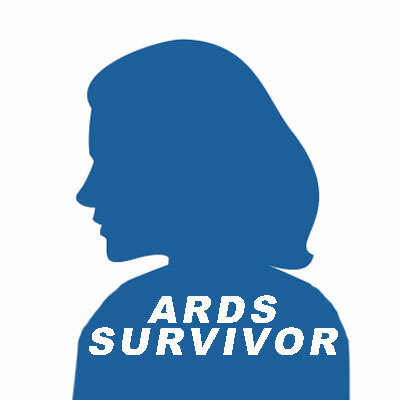 She hopes that in time, everyone will know about ARDS and with more awareness will come more knowledge.